On 31 May 2017, the official foundation stone of the Omni tower on the New Mainzerstrasse took place. Participants included project developer, Tishman Speyer from New York City, as well as the architect, Bjarke Ingels. Frankfurt’s planning representative, Mike Josef (SPD) said “the Omniturm was a high-rise, as we imagine it as a city”. At the time, the upper-house plan had already stipulated that higher construction should be possible if, in addition to offices, housing would also be created. This “vertical use mix” is now being implemented for the first time in high-rise building. For their long-term vision, the deputy former mayoress, Petra Roth (CDU), thanked the Planungsdezernent. The OmniTurm brings momentum to Frankfurt’s banking district. The exceptional design by Danish architect, Bjarke Ingels mixes apartments with office space and public use to bring more life to the skyline. The residential areas are pushed to the middle of the 45-storey high-rise building; “A high-rise with hip swing” was the title of the press when the plans were presented. Looking at the latest rendering (see picture above), it is noticeable how huge clustering is created with the Taunus Tower and Omni Tower at this point. 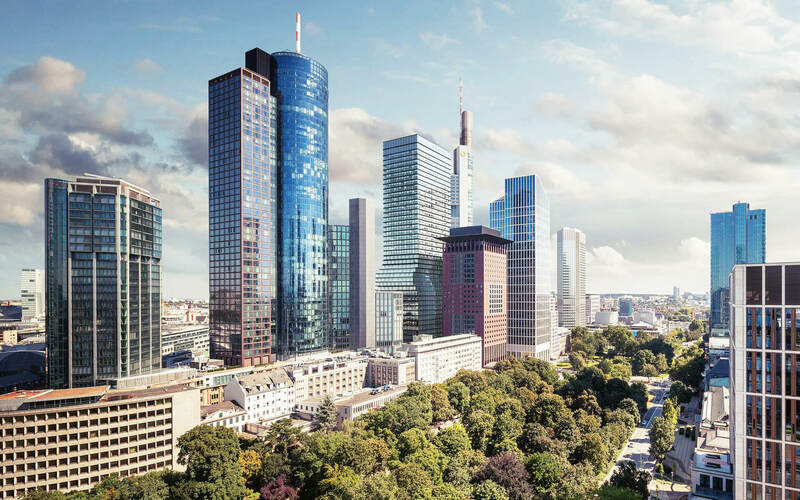 It is worth knowing that with the completion of the Omni Tower, the first street crossroads in Europe will be built in Frankfurt, with four high-rise buildings each with a height of at least 100 meters. Photos of construction situation of OmniTurm are available on Phorio. 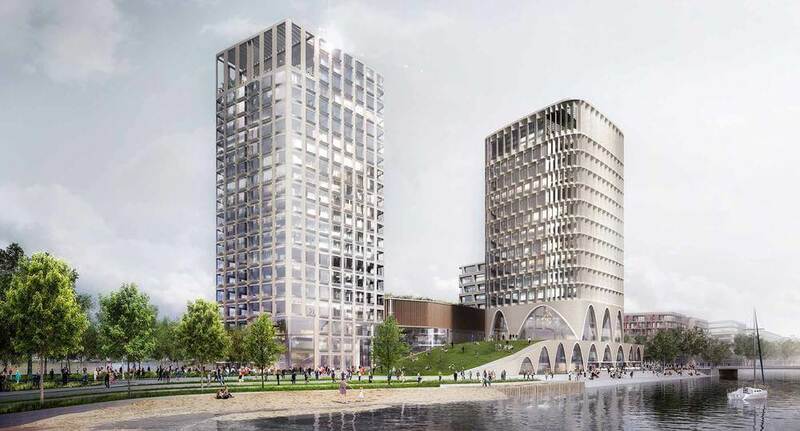 The Frankfurt-based planning representative, Mike Josef (SPD) intends to allow new high-rise developments in Frankfurt only in clearly defined areas. As is apparent from various press publications in the last few days, “speculation” is to be counteracted. The new high-rise plan, which is to be presented next year, is intended to cement appropriate development requirements. 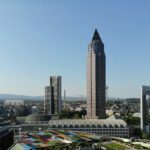 The planning company would like to end the current practice of the city of Frankfurt (also in exceptional cases) to approve planned high-rise locations . Experts from the real estate consider this decision to be incorrect because it conflicts with established planning practices. Modern high-rise apartments are only to be financed by high-earning workers, and these sites would not be in competition with favourable residential areas. Since the beginning of his term, Mike Josef has been able to look back on insignificant developments relevant to urban policy. Instead of opting for the expulsion of expansions, the aim is to make flickering decisions, only to be recompressed, thus wasting valuable time in expanding the city. The decision for the restriction of high-rise buildings distracts from the actual challenges of urban planning tasks. Mike Josef would do better to position for expansion so that housing can become affordable. The city of Frankfurt is lucky that the former planning officer, Dr. Martin Wentz, with foresight, launched numerous large-scale urban projects that still benefit the city. Mr. Wentz has left great urban planning footprints, of which none of his successors in office has so far only been able to follow. A restriction of high-rise buildings will not lead to the relief of the middle value in housing, but most likely again only a piece of the puzzle, which promotes a scarcity of surfaces. Voters will not reward this policy in times of increasingly expensive housing, few kindergartens, missing schools, poor public transport facilities and expensive parking spaces. The city of Frankfurt must finally act strategically! 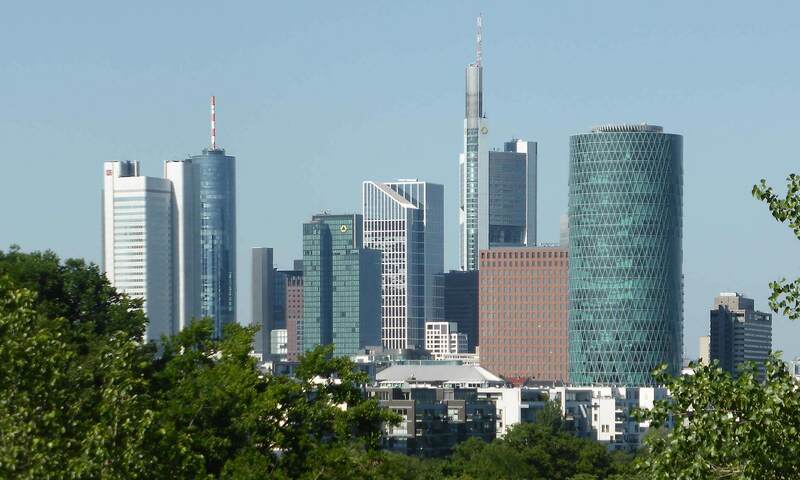 Photo: The ECB’s high-rise building was built at a location that was not included in a high-rise development plan and had a lasting impact on the overall development of the east of Frankfurt. 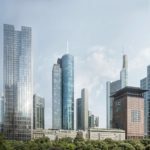 Should the city of Frankfurt provide binding high-rise locations? Yes, because this gives all planning security. No, because this will prevent new high-rise locations in the run-up. The quarter of the Island Tip (“Inselspitze”) in the port of Offenbach is beginning to take shape. Project developer, Deutsche Wohnwerte und Endinvestor Gustav Zech Foundation have been selected as builders. 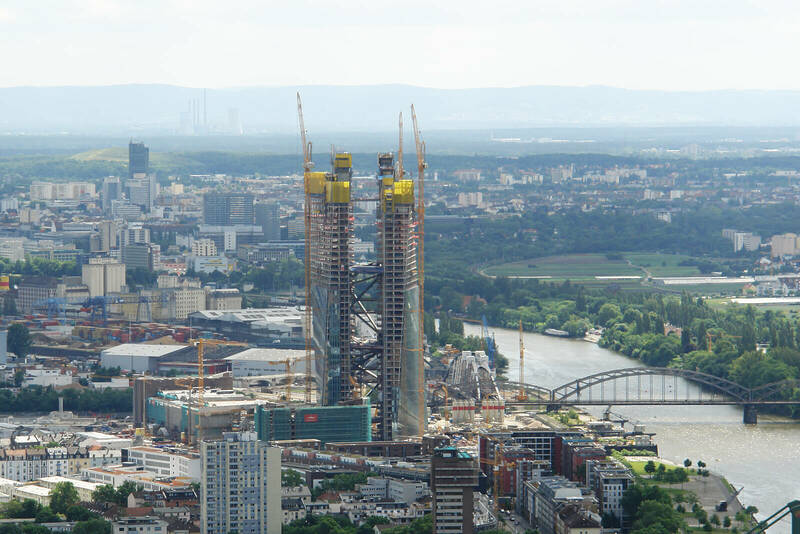 An ensemble of three high-rise buildings (a 75 m high hotel tower, a 62 m high office tower and a 40 m high office building) are being built in Offenbach. The ensemble will set a spectacular ending point under the transformation of the former industrial road at the Offenbach port. The district will be developed and built by Gustav Zech Stiftung (Bremen) and Deutsche Wohnwerte Gmbh & Co. KG (Heidelberg) in collaboration with architects, Schneider + Schumacher (Frankfurt) and landscape planner, Ramboll Studio Dreiseitl (Überlingen). Dockers are the co-working provider of DESIGN OFFICES from Nuremberg, as well as the Bremen ATLANTIC hotel group. The Gustav Zech Foundation will keep the project realised. This was confirmed by Offenbach’s Mayor Horst Schneider with the two managing directors of OPG Offenbacher Projektentwicklungsgesellschaft mbH and Mainviertel Offenbach GmbH & Co. KG, Daniela Matha and Annette Schroeder-Rupp at a press conference with the selected bidders’ association on Friday (May 19, 2017). 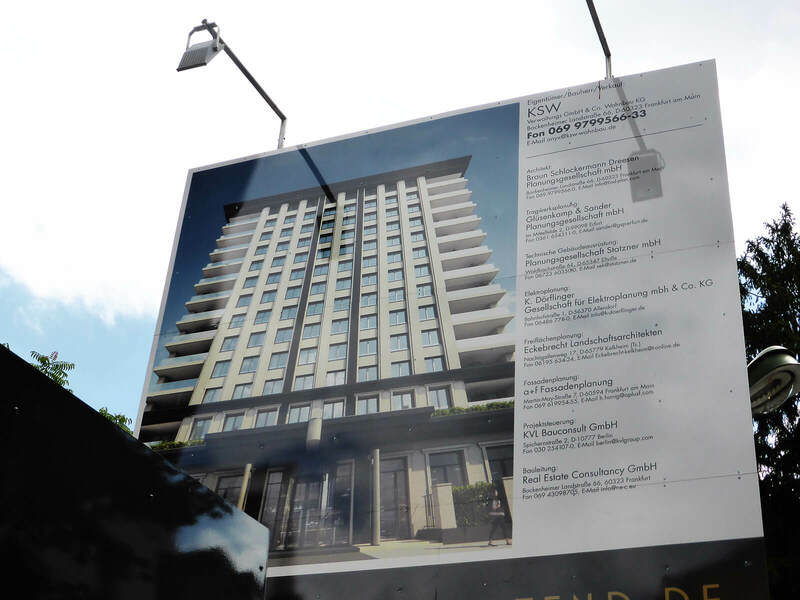 As reported by the Hessenschau TV show, the construction costs on the high-rise project, Onyx in the Westend have exploded, and the originally set construction time has been exceeded. The client has been declared bankrupt and an insolvency administrator has been appointed. Two thirds of the condominiums have been sold so far and the remainder is about to be completed. During intensive consultations and preparatory work, it was decided that areas of school development planning, the implementation of phase 0, the definition of space and space standards for schools and day care centres, budgeting and user acceptance would be settled at the end of the construction project in the municipal school. The department has agreed that 92 full-time equivalents – the full-time positions of the current Department of Property Management – will in future be located in the new ABI, and 47 posts will remain in the municipal school. “Securing the operational and planning security of the department in the future is also of great importance, in light of the growing number of pupils,” stated Weber. 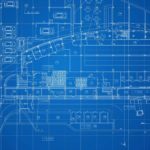 The Office for Construction and Real Estate, on the other hand, will, in the future, assume all tasks beyond all lifecycle phases of a building and complete property management. It is thus responsible for the basic analysis, planning, construction, operation and the possible demolition of buildings. In the future, the respective offices and companies will commission the ABI (also the owner) to build or renovate buildings within the framework of a coordinated budget. Another new feature will be one unit within the ABI that will now be responsible for the entire operational phase of building management. In this way, building maintenance, as well as the testing of buildings and any required tenant support can be covered. The ABI is thus the point of contact for all issues relating to property questions for the municipal school, other municipal offices, companies and users. In this area, most of the employees will be transferred to the Office for Construction and Real Estate by the City Council. However, in principle it is mainly open to the employees interested in other areas of the future office for construction and real estate. “In the real estate management department of the municipal school, an interest-seeking procedure will be carried out from the end of May to clarify which employees would like to work in the new ABI and who wants to remain in the municipal school,” says Weber. The voluntary nature of the decision is thus guaranteed. The colleagues in school house administration and cleaning will in future all be part of the new ABI, but neither in their area of ​​responsibility nor in their place of work, nor in their grouping, will anything change: “Together with the Department of Construction and Real Estate, we have also developed a two-stage qualification concept, which enables further development in the area of ​​facility management,” said Councillor Weber. The continuing education as a “state-certified building manager” at the Philipp-Holzmann school will also remain open to all interested parties. City Councilor Schneider affirms that the issue of qualification is an important issue for the future office for construction and real estate, which is why a qualification concept for all functions within the ABI will soon be drawn up. “The schedule is ambitious, but creative.” both departments agree. “We are approachable for suggestions and questions from the employees and will, in close consultation with the local staff councils and the entire staff council, make the transition as clear and easy as possible for all participants,” said Councillor Weber.